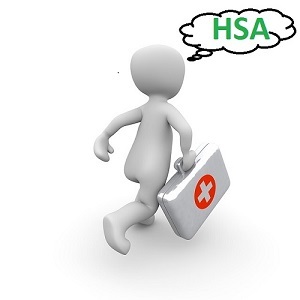 Is rendering advice to an HSA owner considered a fiduciary act? In addition to covering advice given to IRA owners, and participants and sponsors of ERISA plans like 401(k)s, the Department of Labor’s (DOL’s) final rule governing investment advice fiduciaries also covers advice offered to participants in certain non-ERISA plans such as HSAs. Financial advisors who work with HSA owners could become subject to the fiduciary rules if they are providing advice for a fee. The new fiduciary rule may impact employers who offer HSAs if they provide information to their employees about HSAs that crosses the line from general educational information to investment advice, or if they benefit in some way from the advice being given. Advice in this context means virtually all “recommendations” individualized or specifically directed to an HSA owner in return for a fee. A recommendation is a communication that a reasonable person would view as a suggestion to engage in or refrain from taking a particular course of action. Under the fiduciary rule, if an advisor, for example, chooses to provide advice to an HSA owner he or she must satisfy a prohibited transaction exemption under the fiduciary rule, under which the advice is given 1) in the best interest of the HSA owner, 2) in exchange for a reasonable fee; and 3) with clearly understood disclosures that are not misleading. An advisor’s failure to adhere to a fiduciary best interest standard of conduct when providing advice to HSA clients could expose him or her to penalties under IRC Sec. 4975 (relating to prohibited transactions) (see DOL Field Assistance Bulletin 2006-02). Providing general HSA education is not advice and, therefore, would not expose an advisor or employer to the fiduciary rule. Education would consist of providing: (1) general HSA information; (2) general financial, investment and retirement information; (3) asset allocation models; and (4) interactive investment materials. If advice will be provided, then three voluntary ways, among others, to safeguard against fiduciary liability is to 1) develop an investment policy statement (IPS); implement an education policy and 3) obtain fiduciary liability insurance. Advisors need a process to help employers select a provider and then the fund line-up for HSAs. The purpose of an IPS is to establish a clear understanding as to the investment goals and objectives applicable to an HSA investment program. An IPS will establish reasonable expectations, objectives and guidelines in the selection of investments. An education policy statement is not required, but it is a natural extension of the IPS. The education policy statement articulates an employer’s commitment to employee education about HSAs, the methods that will be used to communicate with employees, the goals and success measurements of specific education campaigns, and the parties responsible for various functions related to providing employee education on an ongoing basis. Fiduciary liability insurance protects fiduciaries in the event they breach their fiduciary responsibilities. Fiduciary liability insurance—while not required—could be an important financial safety net for HSA fiduciaries. If audited, the agent will likely inquire whether the identified fiduciaries have such insurance. It is important to note that fiduciary liability insurance is separate and distinct from errors and omissions liability (E&O) insurance, and what the contracts will cover is buried in the fine print. Therefore, when seeking fiduciary liability insurance, it is important to read the proposed contract to make sure the HSA coverage the fiduciaries are seeking is included in the contract language. Recommendations given to HSA owners could subject financial advisors and employers to a best interest standard of conduct (and the associated liability) under the finalized DOL fiduciary regulations. Offering general educational information is one way to avoid fiduciary status. If advice is provided, then there are strategies to mitigate any potential liabilities. https://retirementlc.com/wp-content/uploads/2018/01/HSA-v3.jpg 300 300 jkiffmeyer https://retirementlc.com/wp-content/uploads/2017/05/retirementlearninglogo.png jkiffmeyer2018-01-16 14:23:182018-01-16 14:55:14Is rendering advice to an HSA owner considered a fiduciary act? What is a 408(g) fiduciary adviser? ERISA consultants at the Retirement Learning Center Resource Desk regularly receive calls from financial advisors on a broad array of technical topics related to IRAs and qualified retirement plans. We bring Case of the Week to you to highlight the most relevant topics affecting your business. A recent call with an advisor in Washington is representative of a common inquiry involving investment advice fiduciaries. “Fiduciary Advisers” may provide investment advice to qualified plan participants through an “eligible investment advice arrangement” that is based on a level-fee arrangement for the fiduciary adviser, a certified computer model or both [ERISA §408(g)]. A fiduciary adviser may also work with IRA owners as well. Plan sponsors who engage a fiduciary adviser for their participants will not be responsible for the specific investment advice given, provided the adopting plan sponsors follow certain monitoring and disclosure rules. Plan sponsors are still responsible for the prudent selection and monitoring of the available investments under the plan and the fiduciary adviser. 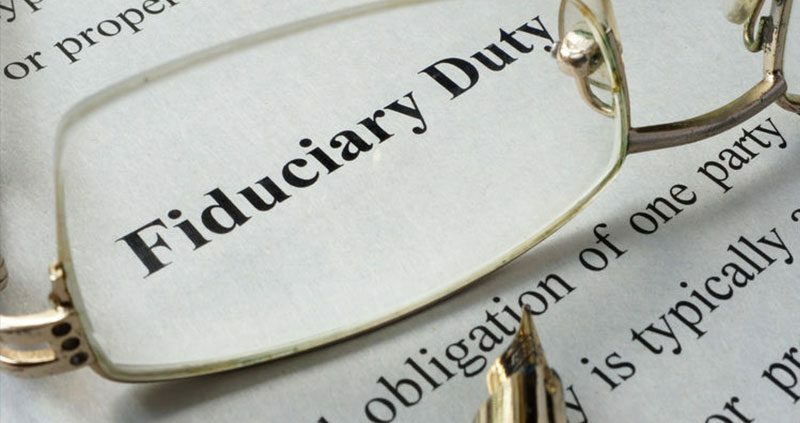 The fiduciary adviser role is part of a statutory prohibited transaction exemption for the provision of investment advice that has been around since 2007, having been created by the Pension Protection Act of 2006 (PPA-06). It has received very little attention over the years until now given the new emphasis on defining investment advice fiduciaries. A fiduciary adviser could be a registered investment adviser, a broker-dealer, a trust department of a bank, or an insurance company. To satisfy the exemption, a fiduciary adviser must provide written notification to plan fiduciaries that he/she intends to use an eligible investment advice arrangement that will be audited by an independent auditor on an annual basis. The fiduciary adviser must also give detailed written notices to plan participants regarding the advice arrangement before any advice is given. Every year the eligible investment advice arrangement must be audited by a qualified independent auditor to verify that it meets the requirements. The auditor is required to issue a written report to the plan fiduciary that authorized the arrangement. If the report reveals noncompliance with the regulations, the fiduciary adviser must send a copy of the report to the Department of Labor (DOL). In both cases the report must identify the 1) fiduciary adviser, 2) type of arrangement, 3) eligible investment advice expert and date of the computer model certification (if applicable), and 4) findings of the auditor. For detailed coverage of the fiduciary adviser requirements, refer to the Department of Labor’s final regulations. Under PPA-06, plan sponsors can authorize fiduciary advisers to offer investment advice to their plan participants and beneficiaries as part of an eligible investment advice arrangement. Plan sponsors will not be held liable for the advice given by fiduciary advisers, provided all the requirements of the prohibited transaction exemption are met.